EDEX Machining offers engineering, programming and management services that utilize the latest software systems and technology. 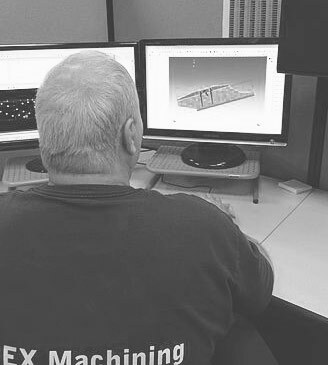 Our experienced engineers and specialists will manage complex, multi-step manufacturing processes to optimize efficiency and keep costs low and quality high. At EDEX Machining, we focus on continuous improvement at all levels of our company, from investing in technology and equipment to hiring and training dedicated people. The result is the highest quality product and best level of service for the most demanding applications, specifications and delivery requirements. Do you have technical capability, initiative and a drive to excel?